The Northern Illinois Critical Incident Stress Management (NICISM) Team is dedicated to providing immediate comprehensive crisis response interventions and pre-incident stress management education for emergency service personnel throughout the Chicagoland area. Our service area includes the following counties: Cook, DuPage, Grundy, Kane, Kankakee, Kendall, Lake, McHenry and Will. 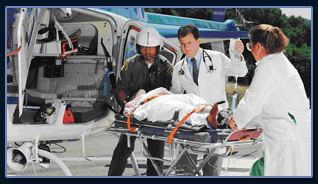 We strive to provide the highest standards of Critical Incident response to any emergency service person or group involved in a traumatic incident. Our crisis services are free of charge and strictly confidential. professions. Peers from law enforcement, fire service, dispatch, emergency medical services and hospital emergency room staff are all represented on the team. Executive Board Meeting Board meetings are open and all team members are welcome. Annual Team Meeting Cookout Please note the early start time and don't miss this annual tradition. The NI-CISM Team is in the initial phases of planning another training course soon but we have no definite dates right now. Please watch this space for further details as available. Also, we are happy to notify you directly when future training schedules have been finalized. Please contact our Education Coordinator to be included in our notification list. We will contact you by e-mail when the next course has been scheduled.